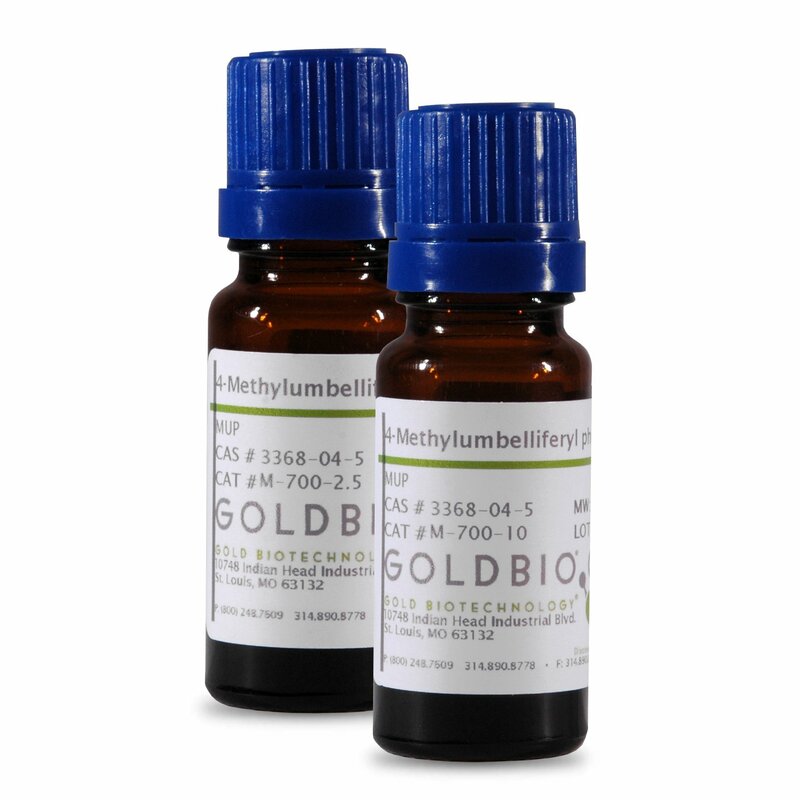 4-Methylumbelliferyl phosphate (MUP) is a sensitive fluorogenic substrate for fluorometric and UV-spectrophotometric assays of phosphatase. Phosphotase activity has long been studied due to its importance in cellular function. Upon dephosphorylation, MUP yields fluorescent 4-methylumelliferone (4-MU). This reaction has been used to spot PCR amplified products in ELISA and to classify bacteria. More specifically, MUP can act as an indicator of C. perfringens because of its ability to detect phosphatase which is a highly specific indicator of C. perfringens. Cornish, C. J., Neale, F. C., & Posen, S. (1970). An automated fluorometric alkaline phosphatase microassay with 4-methylumbelliferyl phosphate as a substrate. American journal of clinical pathology, 53(1), 68-76. Fernley, H. N., & Walker, P. G. (1965). Kinetic behaviour of calf-intestinal alkaline phosphatase with 4-methylumbelliferyl phosphate. Biochemical Journal, 97(1), 95-103. Hirose, A., Esaka, Y., Ohta, M., & Haraguchi, H. (1993). On-line HPLC determination of enzymatic activity of alkaline phosphatase in natural water using spectrofluorometric detection. Chemistry letters, 22(2), 307-310. Guilbault, G. G., Sadar, S. H., Glazer, R., & Haynes, J. (1968). Umbelliferone phosphate as a substrate for acid and alkaline phosphatase. Analytical Letters, 1(5), 333-345. Yolken, R. H., & Leister, F. J. (1982). Comparison of fluorescent and colorigenic substrates for enzyme immunoassays. Journal of clinical microbiology, 15(5), 757-760.